Serrapetrona is a small town in the countryside around Macerata, at the heart of central Italy, where the mountain has preserved its natural origins: the cold chill of winter and the summer Mediterranean sun have created a natural balance between man and nature. This is the homeland of the “Vernaccia di Serrapetrona DOCG” wine. 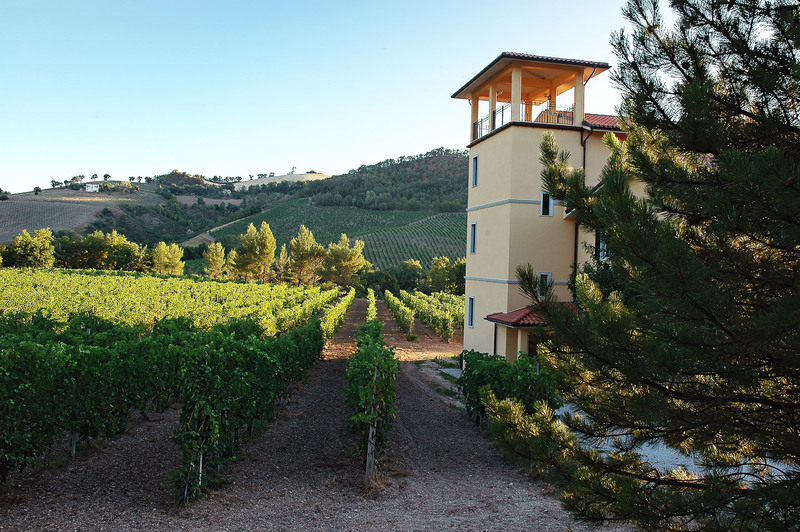 Love for the land, experience and tradition in cultivating vines have nourished the entrepreneurial enthusiasm of the Quaquarini’s family along the years. Alberto is the founder of this family concern; assisted by Francesca, his wife, he has defied the occurrences of life, and together they have set solid foundations for the future generations. Monica, Luca and Mauro have accepted the challenge and at present run the business, co-operating with each other in a sort of natural symbiosis. 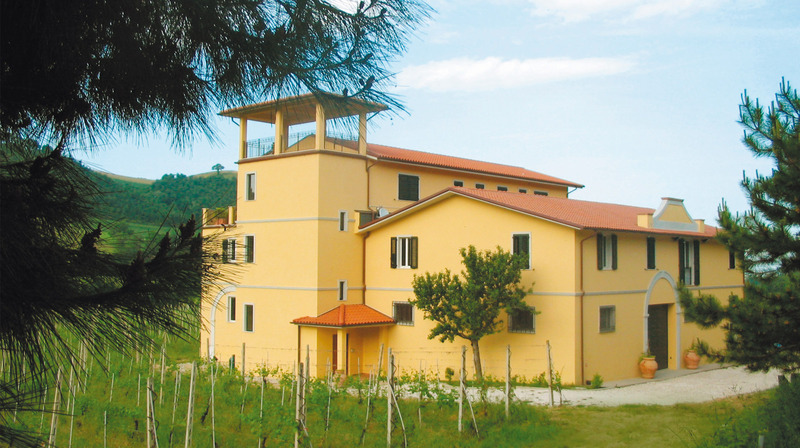 Alberto Quacquarini is the leading manufacturer of Vernaccia di Serrapetrona Docg that is produced in 35 hectares of vineyards planted with Vernaccia Nera - Black Vernaccia. The Vernaccia di Serrapetrona is produced using the superior Vernaccia Nera, or black Vernaccia. The vineyards are small with little foliage and few grapes, and the Alberto Quacquarini wine business can count on no more than 8.000 kilograms of Vernaccia grapes per hectare. 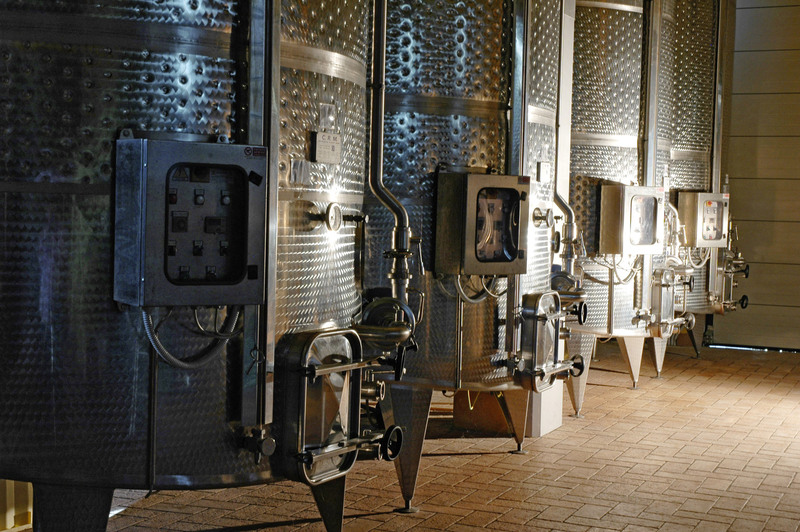 Only the grapes grown and cultivated by Alberto Quacquarini are used in the winemaking. The high point of this wine is the special method of vinification which makes it the only Docg red sparkling wine undergoing three distinct and consecutive fermentations. The intense quality of the grapes is obtained in places of semidarkness, where the grapes are hung up and left to dry for 3 months. The new grape-picking takes place in January: the must from the grapes is a fiery ruby red, sweet and thick like honey. This is added to ferment in the October wine where the freshness of the recent harvest is blended with the richness of the dried grapes. The new wine, which has matured in cool fresh cellars, is left to ferment further still to obtain the sparkling wine. In this way this natural sparkling wine acquires its final precious crucial flavours. The dense ruby red consistent effervescence captures different scents and aromas, those of the refined perlage of an elite sparkling wine with the simplicity of clear, well-defined flavour. The long drawn-out process makes it impossible to put the product on the market until one year and a half has gone by since the vintage. We inform you that personal information relating to you and contained in this form are treated in full respect of the Legislative Decree no. June 30, 2003, n. 196 "Code concerning the protection of personal data". The undersigned agrees to the processing of personal data above by the Quacquarini srl for purposes of corporate marketing: the person in charge of data processing is Mr. Alberto Quacquarini - Via Colli, 1, 62020, Serrapetrona (MC). There is no dissemination of data collected is carried out. Personal data are processed in each case by the specific charge of Quacquarini srl and are not disclosed or disseminated. Cookies are small text strings stored in your computer when you visit certain pages on the internet. If you do not want to accept cookies, you can still browse the site and use it for research purposes. In most browsers, the cookies are enabled. Cookies are not harmful to your device. In the cookies we generate, we do not store personally identifiable information but we use encrypted information gathered by them in order to stay on the site. For example, they are useful for identifying and resolving errors, or to determine related products relevant to show the visitor while browsing. We provide this information as part of our initiative for the enforcement of the recent legislation, and to ensure our honesty and transparency concerning your privacy when you servants of our website. These cookies are essential to allow you to browse the site and use all the features. Without these cookies, which are absolutely necessary, we would not be able to provide certain services or functions and navigation on the site would not be smooth and easy as it should be. They collect information on how a visitor uses the Site, such as the pages you visit. These cookies do not collect information that can identify you. All information collected by these cookies are aggregated in an anonymous form and are only used to improve the functionality of the site. They allow you to "remember" the choices you have made and customize the site content in order to improve the service rendered to you. Allow to draw a "profile" of users by collecting information about their tastes, then send custom advertising content and improve the effectiveness of campaigns. They can also be third-party (when set to a site other than the one you are visiting). - Campaigns Search: Google and Yahoo! These cookies allow you to present banners advertising Quacquarini.it when you are in other sites, showing the latest products and services you have looked on Quacquarini.it. The use of these cookies does not involve the processing of personal data, but can allow the connection to your computer or other devices and track the data stored: these cookies connect to the browser installed on your computer or other devices used during navigation on our site. We point out that, if not performed any choice and you decide to proceed anyway with the navigation on this website, you consent to the use of these cookies. This site uses technical and third-party profiling cookies, such as Google Analytics. This website uses Awstats, resident on the server on which they are installed files Quacquarini.it; Awstats analyzes traffic data by analyzing the server logs. The program uses "cookies", ie text files saved on your pc which allow the analysis of the use of the website. The information generated by the cookie about your use of this website (including your IP address) is transmitted and saved on a server by Awstats to analyze data about the site, to create reports about the web for the site owners and to provide additional services related to the use of the website and internet. Awstats may transmit such data to third parties if required by law or necessary for thirds to elaborate these information on behalf of Awstats. In no case your IP address will be linked with other data Awstats. The site Quacquarini.it works best if cookies are enabled. Remember that if you disable cookies, you may disable certain features of the website.